Slow roasted shredded beef cooked with all it’s juices and placed inside of a slider roll with melted cheese. 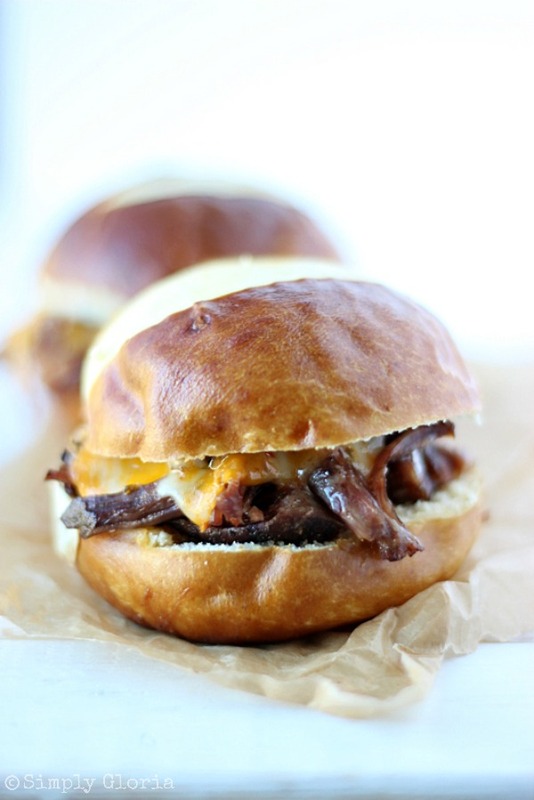 French Dip Shredded Beef Sliders are the perfect size for any appetite! Summer here in Utah is not long enough. So to help solve the problem and make it last as long as possible… I get the boys out of the house every day the sun is out. That way we can capture every single moment of our not-so-long summer, before winter arrives. Today, is no different. We’re off to another adventurous day… at the local amusement/water park. When we have days like this, it’s in high demand that hungry bellies need to be fed the moment we walk in the door. Whether the truck is still needing to be unpacked of goggles, wet swim towels and who knows what else… the boys can’t run fast enough into the house when they smell these French Dip Shredded Beef Sliders from outside! Especially with this busy and hot time of year, we want a hot and hearty meal without spending all evening in the kitchen. Am I right? 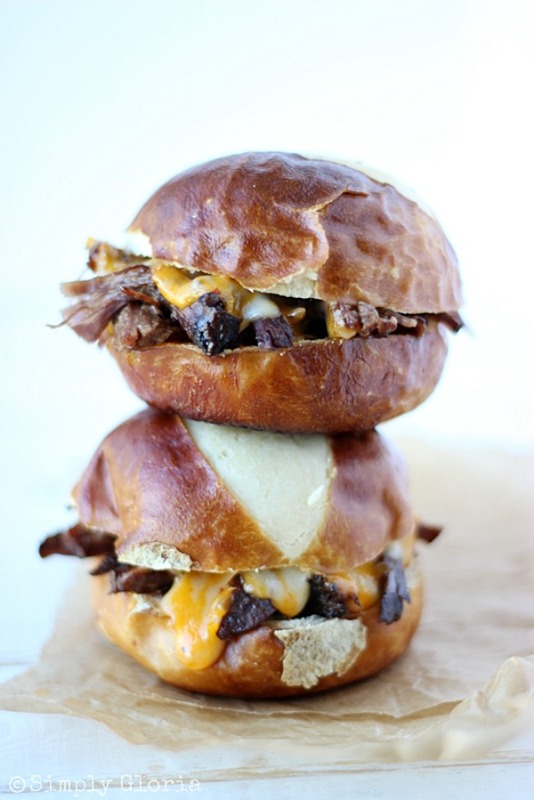 These French Dip Shredded Beef Sliders are the perfect solution! This is one of those super easy recipes that you throw all of the ingredients together in a slow cooker and let it do it’s thing– while you’re out playing all day. One bite of these sliders and you’ll be in love with the tender shredded beef. Slow cooked with onions and golden peperoncinis. Shred the beef in with all the juices and pile onto a soft slider roll. There you go, fast and easy… but slow cooked delicious! Slow roasted shredded beef cooked with all it’s juices and placed inside of a slider roll with melted cheese. French Dip Shredded Sliders are the perfect size for any appetite! Cover uncooked beef with salt and pepper on both sides. Sear both sides in a medium hot heated frying pan. Place in a slow cooker with beef broth, peperoncinis, Worcestershire sauce, and sliced onions. Cook for 4-6 hours on high or 6-8 hours on low. Trim and discard any excess fat. Shred beef in with the juices, onions, and peperoncinis. Place in between warm slider buns and serve. Depending on how much fat you trim off your beef roast, and how high you pile your meat on the slider buns, this recipe makes about 10 sliders. Enjoy! I hope you enjoy these as much as my boys always do. They devour fun sliders and leave absolutely none for leftovers… every time! 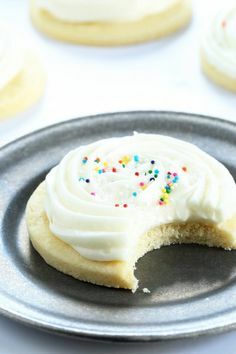 there would NOT be any leftovers of these at my house either! These look super tasty! Dang Gloria those look ridiculously good, definitely bookmarking and trying! These look amazing. Love french dip. Perfect for a party! These sliders look amazingly fantastic. French dips are my favorite sandwich too. Another thing to pin on my Dinner Board!!!! Thanks! Stopping by from Show Stopper Saturday. Love using my slow cooker in the summer and these looks delicious! Meat & Cheese YUM! Pinning! Love your sliders Gloria — I’m sure around here we would not have any leftovers either!!! Have a great weekend! Wow – Pinned these beauties. I love that you added pepperoncinis! Yummmmm these sandwiches look awesome! I wish it weren’t so miserable outside here — I’d love to get my boys out of the house! Hi Gloria!! These looks so delicious! I love baking with the slow cooker, I would love to try these. I was sick last week and am just now getting around again!! I hope you are having a great Summer with your boys. The water park sounds like a lot of fun! 🙂 hugs! Yum! My family loves meals like this and I love making them because they are so easy! Nothing makes me more hungry than a day in the water. Waiting for dinner is just not an option! The slow cooker is perfect for this time of year – no oven, no preheat, and dinner when you walk in. I would be piling these sliders high! These sliders look amazing Gloria! Love that they are made in the slow cooker – leaves more time to enjoy the short summer 🙂 Your adventurous days sound fantastic, love the photos you’ve been sharing on IG, they’re beautiful! The cheese dripping from those sliders looks amazing Gloria!! 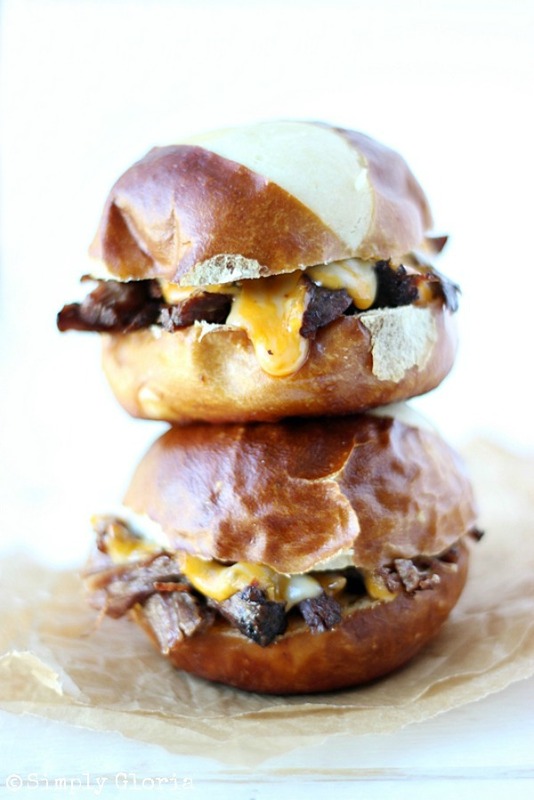 these look seriously delicious.. i cant get enough of sliders. definitely inspired to recreate this recipe. yum! Those sound glorious! Thanks so much for sharing them over at the Party Time Link Party! I’d love to go to any celebration where I’d be served these sliders! I have a couple chuck roasts in the freezer, begging to be eaten! SO naturally I’m going to eat this! Ouhh my, I haven’t had something like this in too long. Love this Gloria! I agree, Summer is TOO short! But good things I think, come from each season. Fall is my favorite season. I’m almost ready for it…almost! Hope you’re having a wonderful week! Moderate indulgence would be a challenge with these! Gloria, these sound awesome! I just might be making these on back to school week coming up really soon! So happy for Instagram . . .Your photos are stunning! Glad to see that you’ve been enjoying Summer! My boys would love these! Thanks so much for the recipe.